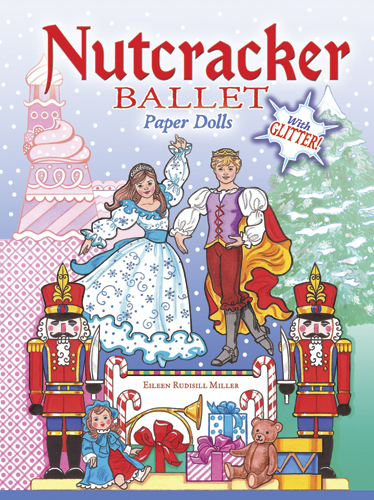 This glittering paper doll collection re-creates the perennial holiday magic of the Nutcracker ballet. You'll find all the familiar characters, from the Sugar Plum Fairy to the King of Mice, plus a dazzling wardrobe with costumes for soldiers, snowflakes, and other dancers — each enhanced with a dash of glitter! A charming theatrical backdrop provides the setting for hours of imaginative fun.